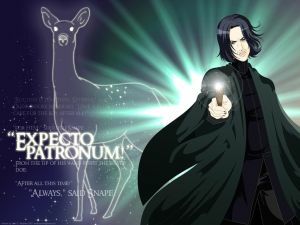 'The Prince's Tale' | Expecto Patronum! “I won’t blow up the house,” replies Harry. Sounds like the typical parent/guardian exchange with t(w)eens, doesn’t it? But this is actually that rare, almost non-existent, occasion when there appears to be some factual basis for Dursley fears. Dumbledore apparently told the Dursleys in his letter dated 10 years earlier about the condition of the Potters’ home after Voldemort came calling. As Hagrid told Dumbledore at that time, the “house was almost destroyed,” and (as he later tells Harry) he took the boy from the “ruined house” himself. Aunt Petunia certainly knows that her sister “went and got herself blown up.” So it is with some bit of authentic, fact-based fear, perhaps, that Uncle Vernon mentions “ruins” when he thinks of Harry being left alone in the house while the family celebrates Dudley’s birthday at the zoo. Sometimes, when he strained his memory during long hours in his cupboard, he came up with a strange vision: a blinding flash of green light and a burning pain on his forehead. This, he supposed, was the car crash, though he couldn’t imagine where all the green light came from. Though the Dursleys may well have images of real ruins in mind when they talk about not wanting to leave Harry alone in the house, they seem more afraid of the random “strange things” that happen around the boy. Wizarding children have magical abilities, with or without a wand. The wand helps them learn to control and channel their magic, but being gifted with magic is not dependent on the wand. 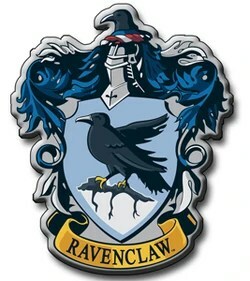 Under various forms of stress, Harry has already caused his hair to grow back overnight from a bad haircut, caused a hated sweater to shrink while Aunt Petunia tried to force it on him, and even found himself on the roof of the school kitchens while attempting to escape from Dudley’s gang. Then, there’s the event in the reptile house, from which this chapter takes its title. The Dursleys do end up taking Harry to the zoo (better than having him blow up the house, I suppose! ), and after Dudley unsuccessfully tries to force his Muggle father to get a sleeping Boa Constrictor to “do something,” the snake initiates an interaction with Harry. First it winks, then it nods, then it gestures with its tail. In the course of this interaction, Harry starts talking to the snake. And the snake understands him. On first reading, this seems like just another example of Harry’s wandless magic. And this possibility is underscored by the fact that when Dudley punches Harry, something more typically magical happens – the glass to the cage disappears, and the snake escapes. But as the snake leaves, it speaks to Harry in a “low, hissing voice” – and just as the snake understood Harry, Harry understands the snake. I can speak to snakes…. they find me, they whisper to me. Dumbledore does not let on, but he is clearly taken aback by this revelation. 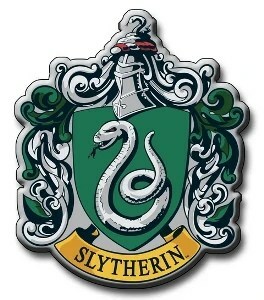 Parseltongue is a language associated with Salazar Slytherin, founder of Slytherin House at Hogwarts, the House that values pure Wizard blood. Additionally, when Harry reveals his Parseltongue capabilities during the Duelling Club segment of CoS, his friends Ron Weasley and Hermione Granger tell Harry that this is a bad thing – that Parseltongue is generally associated with Dark Magic, and that You-Know-Who himself is a Parselmouth. And speaking of You-Know-Who… notice that just as the Boa in the reptile house initiates contact with Harry, so young Riddle tells Dumbledore that the snakes “find” him. Apparently, snakes can innately tell if a Wizard is a Parselmouth… and seek such Wizards out. The Parselmouth motif becomes increasingly important throughout the series, as Dumbledore pieces together the connections between Harry and the wicked Wizard who tried to kill him. But at this point in the story, the snake incident looks like just a throw-away magic event, another neat magical thing Harry can do. Which makes “The Vanishing Glass” a wonderful early instance of Rowling’s talent for misdirection. How justified do you think the Dursleys’ fears of Harry are? What was your reaction the first time you read of Harry’s unconscious, wandless magical abilities? What is your reaction now? On first reading, how did you feel about Harry’s ability to talk to snakes? Has your feeling changes since then? Is there anything else you feel like commenting on? ‘The Flight of the Dursleys’ … in which we discuss the strange letter(s) addressed to Harry… and the Dursleys’ even stranger behavior surrounding them. I don’t know that there’s any more remarkable statement in the entire series than that final sentence. Something happens in the Pensieve that gives Harry compassion, that helps him identify… not only with Severus Snape, but even with Voldemort himself. When Harry first discovered that Tom Riddle’s mother died about an hour after giving birth, he was so stunned that Dumbledore asked if he could “possbly be feeling sorry for Lord Voldemort.” Harry denied any empathy. …a skinny boy was watching them from behind a clump of bushes. His black hair was overlong and his clothes were so mismatched that it looked deliberate: too short jeans, a shabby, overlarge coat that might have belonged to a grown man, an odd smock-like shirt. Perhaps it had something to do with living in a dark cupboard, but Harry had always been small and skinny for his age. He looked even smaller and skinnier than he really was because all he had to wear were old clothes of Dudley’s, and Dudley was about four times bigger than he was. Harry identifies. Even though young Severus grew up with two parents, Harry learns from the memories that they were always shouting at each other – just the way that Uncle Vernon and Aunt Petunia (one of the girls on the swingset) were always shouting at him. Could it even be possible that Petunia so associates magic with “that Snape boy” that she intentionally dresses Harry to look as shabbily as Lily’s young Wizard friend? … a tiny jerk of the head [that] seemed to flick off an irksome fly. Riddle gave an irritable twitch, as though trying to displace an irksome fly. Two twitches. Two drastically different choices. 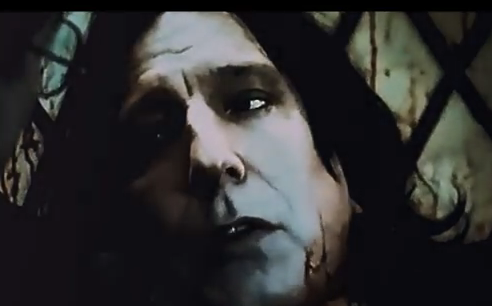 Snape, as Harry learns from the memories, takes on his irksome fly: Lily’s living son. He protects the boy, shields him, challenges him, berates him, trains him, even dies horribly to get him the memories needed for his task. It’s not what he wants to do. It’s what he chooses to do because it’s necessary. It is his penance, and ultimately his redemption. But Riddle seeks to escape the irksome fly: his common humanity. He changes his name, destroys his identity, splits his soul, becomes something other than human, and finds destruction. Is it possible that these two slight images in the Pensieve help Harry see – really see – the choices, mistakes, sacrifices, even horrors wrought by these men he has hated… and accept the links they forge with him? Harry, Severus, Tom – the abandoned boys – all adopted Hogwarts as home. Two groped toward the light. The other, in trying to escape it, found nothing greater than death. 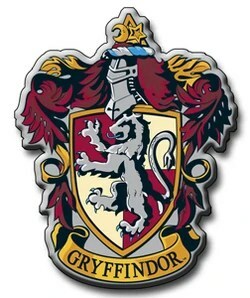 And while we’re on the subject of other Harry Potter websites, I’ve been playing around a lot lately on the amazing Chamber of Secrets forums. Lots of people with lots of excellent insights – especially in the Legilimency Studies standing “Snape” thread, version 13. (Snape does seem to attract the most consistent attention). So a few days ago, I was on the thread, elaborating on what a previous poster had said on the question of whether or not Snape ever actually cared about Harry, and I thought I’d share a few of those thoughts here. Note: If you are popping in here from Jess’s blog, please stop now if you haven’t read Deathly Hallows! Spoilers ahead! We see a definite progression in how Snape regards Harry. At first, he’s just a thing to be exchanged for the life of the mother. Then he’s the boy who survived when Lily Evans died… but who Snape vows to protect regardless. Throughout the memories, Snape keeps on and on about James Potter’s son. But in the last conversation before Dumbledore’s death, he refers to Harry as Lily Potter‘s son. So what do you think? The poll is open… and so is the comments thread! Oh, by the way, I’m about to embark on a Harry Potter re-read, and I’ll share it right here on the blog. But don’t worry, there will still be occasional outbursts of Snapey goodness. Just so long as I don’t have to squee!